Responsible for the coordination of the events from conception through to completion. He/she shall process all required logistics, including planning for events, booking venues, putting up equipment, ordering catering, hiring service providers, and ensuring the event runs smoothly. Conduct research for the markets to identify good service providers and vendors. Responsible for obtaining quotations for events and activities. Conduct analysis of offers, prepare necessary document and purchase requests, and follow-up on approvals. Responsible for obtaining offers and doing airline bookings for all RFC events, workshops, guests and employees. Supervise and liaise for all purchasing and bookings for events and other activities as required. Communicate with concerned departments on all issues relevant to these bookings. Liaise with concerned departments for their events to ensure timely booking of venues and supplies requirements. Coordinate details of events such as receptions, workshops, meetings and other events as requested. Coordinate with concerned departments and Finance Department on budgets relevant to the events and ensure expenditure is adhered to. Book suitable venues or locations whether in-house or external. Book airline tickets, transportation, restaurants, service providers, catering, equipment and technicians for all events as required. Book and coordinate for staffing requirements for the events and conduct staff briefings on the events. Organize facilities for car parking, traffic control, and requirement for security. Plan and coordinate for venues layouts. Ensure quality is adhered to by catering companies to prepare food for the events. Visit venue to plan layout of seating and decorations if required. Negotiate prices with vendors and service providers. Prepare guests packages, documents, and gifts when required. Coordinate for distribution of invitations, contact invitees and manage RSVP list, as well as creating an invitee list. Hire staff for event when required, including security staff, valet, extra waiters, technicians. Manage all correspondence relevant to events and other logistics required. Coordinate and oversee the event logistics, including the organizations of the event in terms of preparations and cleaning services. Ensure the dismantling and removal of the event’s preparations and ensure clearing of the venue efficiently. Conduct post-event evaluations including data entry and analysis of the services and operations conducted. Sharing information with concerned departments. Conduct purchasing for all items required for events and other logistics as required. Keep inventory of all back-up items required, purchased items, and other items required. At least four years of experience in the field of events management, operations and logistics. Flexible and willing to work in the evening, as well as to travel in the country when needed. Capacity to work autonomously and under pressure to ensure smooth efficient running of events. Available outside working hours to address urgent matters. 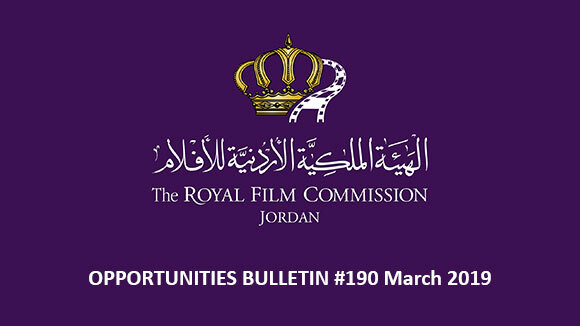 Please send your application to the following email: recruitment@film.jo no later than December 31st, 2014, and indicate clearly in the subject of your email the title of the position you are applying for. Assist General Manager in all administrative tasks, according to need and as assigned in terms of follow-up on implementation of all tasks. Keep an overview of all the ongoing programmes/projects. Draft correspondence in both English and Arabic, conduct research as required, produce documents, briefing notes, reports and presentations. Organize and attend meetings when required and ensure that the General Manager is provided with all relevant documents. Take notes and produce minutes of meetings. Organize and maintain General Manager’s agenda, making appointments and alerting General Manager when required. Follow-up on all tasks and projects, and bring to the attention of the General Manager deadlines, actions to be taken, and any other necessary matters. Receive General Manager’s incoming mail and faxes, sort all mail according to importance and bring to the attention of the General Manager. Answer the General Manager’s emails when required. Organize and file relevant documents both electronically and in paper. Arrange the General Manager’s travels, including booking flights and arranging for accommodation, scheduling meetings. Occasionally, travel with the General Manager to take notes at meetings, or to provide general assistance during presentations or any other related matter. Welcome and attend to visitors. Perform any other task(s) assigned by the General Manager. Minimum 3 years of experience as an Assistant to senior managers. University Degree in Arts or any other related field. Knowledge of film is a plus. Excellent command of spoken and written Arabic and English (other languages a plus). The call for submissions for the 6th edition of Middle East Now is now open, where the festival will be held in Florence from April 8 until April 13, 2015. The festival is looking for feature films, documentaries, shortsandanimation filmsproduced in2013-2014-2015and coming fromJordan, Afghanistan, Algeria, Bahrain, Egypt, Iran, Iraq, Israel, Kuwait, Lebanon, Morocco, Palestine, Qatar, Saudi Arabia, Syria, Tunisia, UAEandYemen. 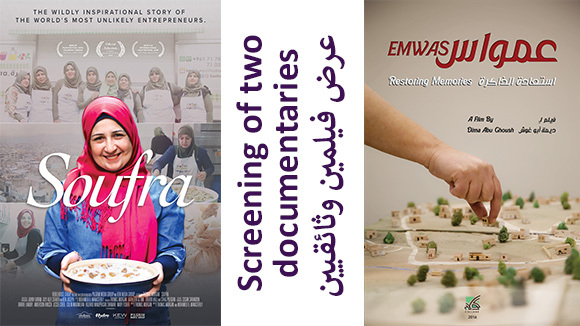 If you want to participate with afeature film, afilmdocumentary, ashort filmor ananimation film – for theinternational competitionwith the“Middle East Now Audience Award”and the”NYU FlorenceBest Short”-please fill in the entry form in all its parts and send a copy of the film by post or a web link by email. Middle East Now is looking fortalented film directors who tell stories through beautiful movies: looking for you, to present the real face of the Middle East! The second edition of the Original Narrative Film Festival 2015 is now calling for film applications, where it will take place on February 18th, 19th and 20th, 2015 on the American University of Dubai campus. 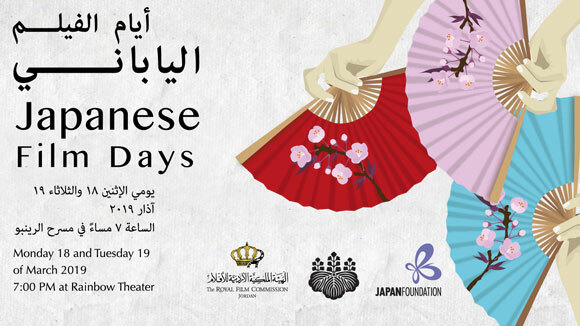 This year’s festival will have screenings in five different categories: Documentary, Fiction, Animation and Screenplay. It will also feature selected workshops and discussion panels as well as a wide array of entertainment by students. Original Narrative is an international student short film festival organizedby the Mohammed Bin Rashid School for Communication and presented by The American University in Dubai. The festival aims to give the new generation of aspiring filmmakers the opportunity to share their unique vision on the global stage, and provide a platform for students and fresh graduates to collaborate, connect and inspire. With a wide range of categories to choose from: Fiction, Documentary, as well as Animation and Screenplay - budding cinephiles are invited to enter their films or short scripts produced or written between 2012 and 2014. Documentary:a factual report on a chosen subject or idea. Fiction: an original fictitious story of any genre. Animation: a story told by giving life to inanimate objects or character designs. Screenwriting: an original story (not based upon previously published material). The deadline for submission is January 15th, 2015. 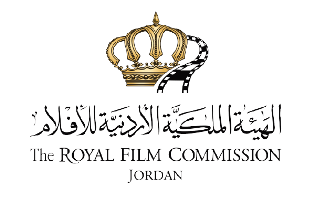 Development, production and post-production funding is available through the Doha Film Institute Grants Programme for first- and second-time directors from the MENA region for feature-length projects. Short films are eligible for production funding only. 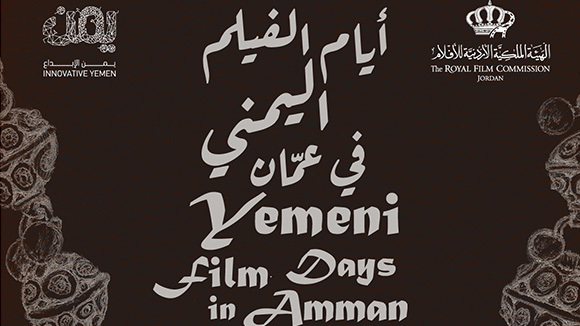 Established MENA directors may apply for post-production funding for feature-length projects. The Programme provides creative and financial assistance for short and feature-length projects, subject to eligibility criteria, by Qatari and international first- and second-time directors, as well as established MENA directors. There are two submission cycles annually. The next cycle opens February 1st, 2015 and closes at midnight (GMT+3) on February 15th, 2015. The Cimatheque – Alternative Film Centre in Cairo, Egypt, is nowaccepting applications for a Short Film Development Workshopmentored by Egyptian director Hala Lotfyto take place between February 20 and 26, 2015. Eight projects will be selected to take part in a six-day intensive training workshop providing filmmakers the opportunity to work on the development of their short films. Directors may apply with a film crew (producer/scriptwriter), or as individuals. The programme will include sessions on script development, putting together a film crew, budgeting, scheduling, building a funding plan, pitching, distribution, and an in-depth view into alternative solutions for production. The workshop will be conducted in Arabic. Workshop fees for the accepted participants: 250 LE. The deadline for applications is on January 10th, 2015. The International Documentary Film Festival Amsterdam (IDFA) Bertha Fund aims to stimulate and empower the creative documentary sector in Africa, Asia, Latin America, the Middle East and parts of Eastern Europe by supporting the development, production and/or post-production of documentary projects by filmmakers from developing countries and by supporting the organization of documentary film festivals. The Fund not only provides financial support to realize this endeavor, but plays a crucial advisory role as well. In short, the IDFA Bertha Fund supports documentaries that make a difference. Documentaries that are both a creative form of artistic expression, but also an expression of a world-view and a lifestyle. The fund is looking for festivals which make it their goal to promote the documentary film genre and act as a meeting place for local filmmakers and audiences. Project development:The maximum contribution for project development is€5,000. A contribution for project development can be spent on research and on the development of a script and/or on the production of a trailer. It must be spent in a developing country. Production & post-production:The maximum contribution for production & post-production is€17,500. A contribution for production & post-production can be spent on all forms of production & post-production, but it must be spent in a developing country. The deadline for submissions is on February 1st, 2015. In just a few months, the Page International Screenwriting Awards Competition will once again present over$50,000 in Cash & Prizesto some of the most talented new screenwriters from across the U.S. and around the world – includingGold, Silver & Bronze Prizesin ten different genre categories,plus the huge$25,000 Grand Prize. The competition was established in the fall of 2003 by an alliance of Hollywood producers, agents, and development executives. It aims to discover the most exciting new scripts by up-and-coming writers from across the country and around the world. The Gucci Tribeca Documentary Fund is seeking feature-length documentaries that are in production or post-production with the intended premiere exhibition in late 2015 or 2016. Eligible films highlight the most critical, important stories affecting the world we live in today told in a humanizing, illuminating way. The fund is looking for films which challenge the status quo not just as it pertains to subject matter but also in form. Films should be able to exist on multiple distribution platforms and should resonate with a wide audience. The Fund provides finishing funds to feature-length documentaries which highlight and humanize issues of social importance from around the world. Funded films are driven by thoughtful and in-depth storytelling, bolstered by a compelling visual approach. Submitted projects must have an intended final running time of at least 70 minutes and should creatively depict subjects and issues that promote social change. Submissions must be in the stages of advanced development, production or post-production and must not have aired on any form of television, been screened publicly or have been distributed in theaters or via the Internet before June 2014. Submitted films must show enough footage to highlight unique access and storytelling ability. Foreign language documentaries are eligible, but must be subtitled and suitable for an American audience. Applicants must be over 18-years old; however, student films and documentary short films are not eligible for submission. 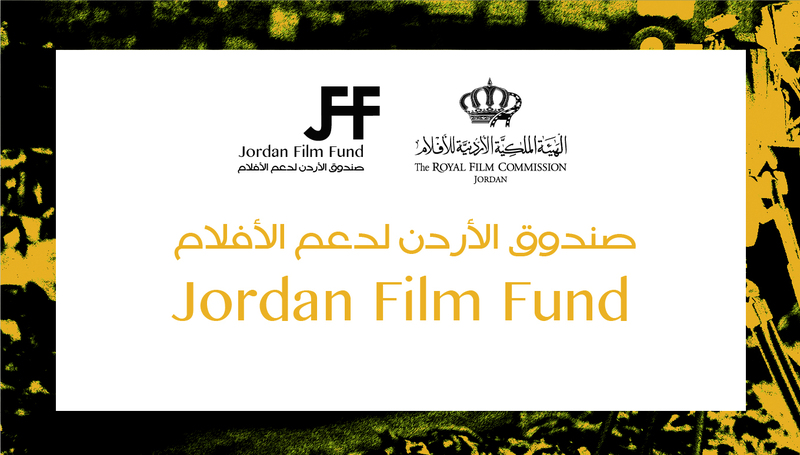 Applicants will be notified by June 2015 if their films are awarded funding or not. The deadline for submissions is on February 5, 2015. The Austin Film Festival and Conference is taking place from October 29th until November 5th, 2015. For over two decades, the Austin Film Festival (AFF) has been launching writers into their careers. The submissions for the AFF Screenplay and Teleplay competition is now open, where the AFF’s Coverage Program provides a detailed, constructive evaluation of your script and, at $100 for feature scripts and $80 for teleplays. An industry-style recommendation: “recommend,” “consider” or “pass.